Technology has allowed other industries to compete globally and education is no different, with each institution sharing their strategic visions of how they can and will use education technology to enhance teaching and learning as well as compete for students in the region. Through their use of the Learning Management System Canvas, each of these Philippine institutions are deepening their adoption of the latest innovations in teaching and learning, such as blended and flipped classrooms, which allows for greater focus on student engagement and personalized learning. 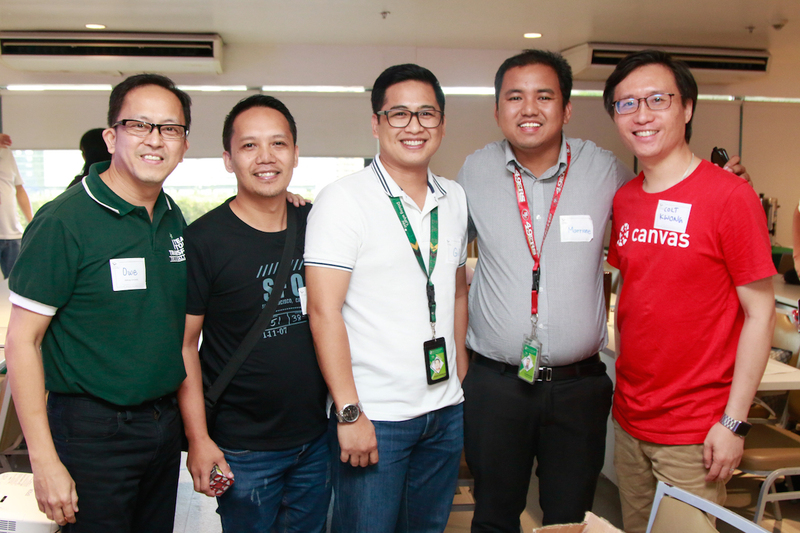 Roselle Basa, Program Coordinator for ICT at UE, was among the attendees who were new to Canvas. UE faculty have been training with the LMS since March, and the system will be deployed in full this year. “Canvas allows us to develop courses that are geared to student-centered strategies. It pushes the envelope of teaching strategies development and helps us avoid being confined to the classroom in a very enjoyable and engaging manner,” Basa said. Canvas from Instructure was created in response to poor user experience of legacy LMS software by its founders as graduate students. They wanted a more flexible and personalized learning experience, one that was mobile and easy to use and extend with a wide variety of learning resources. 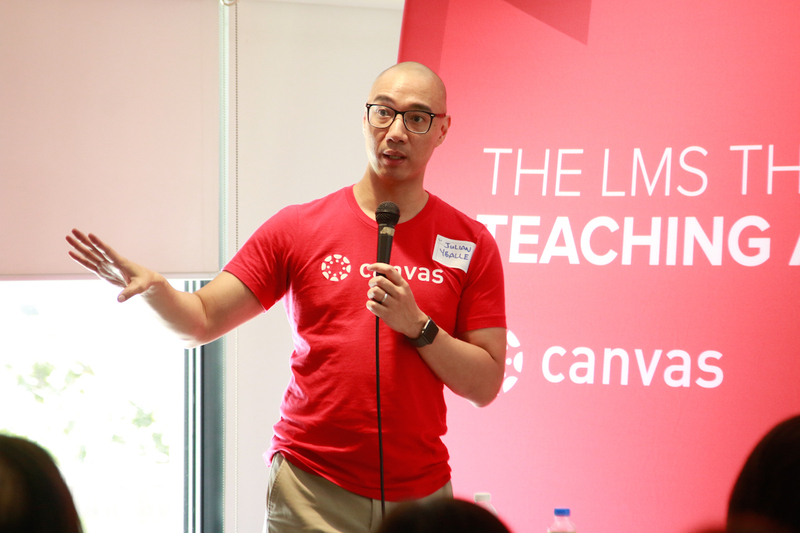 As an open, mobile and native cloud-based platform, Canvas allows students to easily access learning materials, take online tests, collaborate on the move, and drive their own learning journey. Teachers are able to deliver more personalized learning, choose from a wealth of learning resources to deliver a richer learning experience, grade tests more quickly, as well as use data in real time to give feedback on student progress. This approach puts teachers and students at the center of the learning environment rather than the technology. Regional Director Julian Yballe also took to the podium to explain Canvas’ view on openness and equity of experience.  Instructure envisioned Canvas as endlessly extendable open APIs and the ability to add apps via the LTI standard. This allows teachers to use the vast global resources that exist, exposing students to a huge variety of learning materials in a simple and easy way. 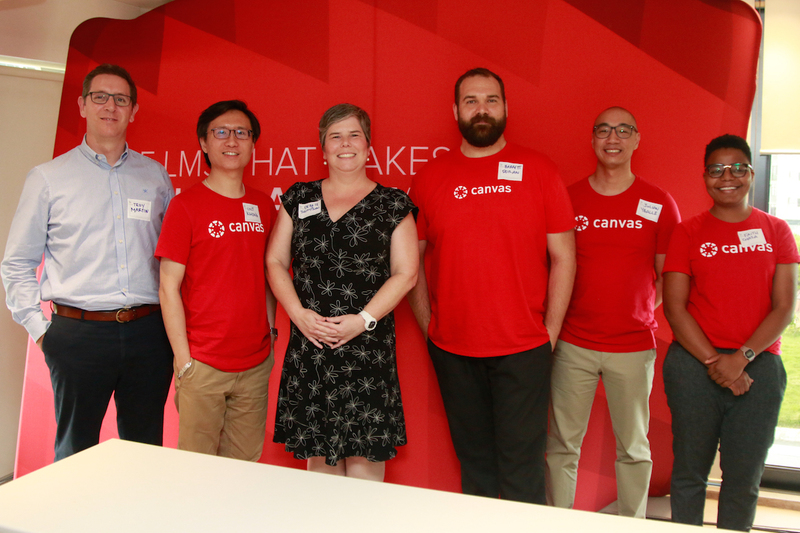 Along with this growing partner ecosystem, the Canvas community of global institutions, helps educators from around the world share ideas and experiences both online and at community events such as this user group session. These leading institutions in the Philippines are now contributing to the community with their founding of the first user group in South East Asia. Yballe underlined this specific focus on student-centeredness. “The feedback for Canvas from every stakeholder in this teacher and learning environment has been positive. And a lot of it is a combination of timing and how student-centered learning is becoming more of a focus due to two reasons, workforce preparedness, so graduates can contribute immediately, and a more competitive environment for a limited number of students, both locally and globally,” Yballe said.